WE tv‘s new dating docu-series, Ex Isle, hosted by Carmen Electra, debuts Friday, January 8, 2016 at 10:00pm ET/PT. The series features five former couples — ensconced in the Dominican Republic resort, Casa de Campo. Psychiatrist Dr. Ish Major counsels the former couples as they work to move forward. Ten new singles are brought to Casa de Campo, to give them that chance. CAN YOU QUIT YOUR EX? NEW YORK, NY, November 19, 2015 – We tv is taking the words “I can’t quit you” to a whole new level as they prepare to launch the dating docu-series “Ex Isle,” hosted by Carmen Electra, on Friday, January 8 at 10:00 p.m. ET/PT. “Ex Isle,” breaks the mold and brings a fresh new concept to the dating and relationship space. The show follows five former couples as they attempt to end their dysfunctional and at times tumultuous relationships in order to find closure, move on and form new healthy and loving relationships. The couples’ journey begins on the stunning secluded resort Casa de Campo in the Dominican Republic, where they are free of all distractions – no phones, no texts, no friends and no family to influence their decisions. In addition to Electra, the group will be guided through this intense and often emotional rollercoaster by Dr. Ish Major, a psychiatrist that specializes in women, children and families, who is an expert on broken relationships. Led by Dr. Ish each couple will go through a unique, multi-step process designed to help them conquer their past issues. Along the way, show host Carmen Electra will share her own relationship stories utilizing her larger-than-life personality to help the couples get comfortable with the process. However, the couples will not have time to get too comfortable because in an unexpected twist, 10 singles will arrive at the resort to shake things up and give the exes a fresh chance at love… ..or not. Will these couples finally end their troubled relationships and move forward? Find out when “Ex Isle” begins its one hour, 10 episode run on Friday, January 8 at 10:00 p.m. ET/PT. Visit www.wetv.com for sneak peeks, deleted scenes and photo galleries, and blogs from “Ex Isle.” For special photos and videos, “Like” WE tv on Facebook and follow @WEtv on Twitter and Instagram. “EX ISLE” is produced for WE tv by 495 Productions with Sally Ann Salsano, Joel Zimmer and Pam LaLima executive producing. We tv’s Lauren Gellert, EVP, Development and Original programming, David Stefanou, VP of Development and Angela Molloy, VP of Development serve as executive producers. With compelling, can’t miss unscripted shows and dramatic scripted series, WE tv’s programming is fueled by personalities and relationships filled with purpose and passion. WE tv welcomes everyone and creates an inclusive experience across all platforms: on TV, online, on demand, and social media, embracing how today’s digitally savvy, socially engaged audiences connect through content, using it as a catalyst to drive conversation and build community. WE tv is owned and operated by AMC Networks Inc., and its sister channels include AMC, BBC America, IFC and SundanceTV. WE tv is available to over 86 million U.S. homes. WE tv: All In. What do you think? Do you like the sound of the Ex Isle TV show? Will you add it to your “Guilty Pleasures” list? 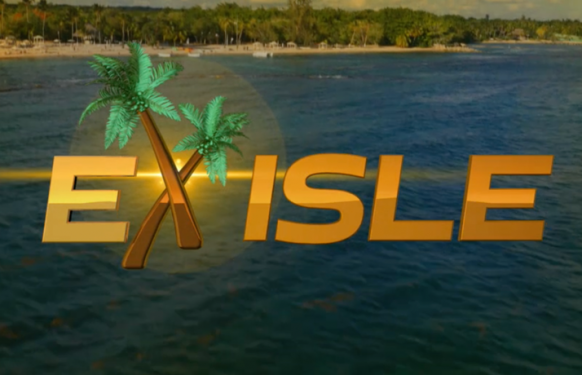 More about: Ex Isle, Ex Isle: canceled or renewed?, WE tv TV shows: canceled or renewed? Because of garbage like this, I don’t watch WE tv PERIOD! Seems like that’s all it has.